Please join the San Antonio Den at Salina's home, Sunday June 25th 1-4pm for a den meeting and workshop. Open to all interested persons. Our guest speaker, Laura Marcel Cardona Berrio, will present "The Clown: A trip around your emotions". She will be sharing interactions, expressions, and games that the clown brings to hospital patients to encourage and support the healing process. Salina Shelton will also facilitate an Artist Trading Card workshop, please see attached handout. Plenty of supplies (paint, collage, stamps) will be available, but you are welcome to bring any you would like to work with. Snacks and refreshments provided. Hope you can come. Please RSVP so there will be materials available for all. Psychotherapy by Angelina, LLC is interested in hiring a part time art therapist, preferably who has their LPC-I. Psychotherapy by Angelina works with several agencies in the Houston area through the YES Waiver program. The art therapist will be seeing referrals from these agencies and have the opportunity for supervision under Angelina Rodriguez. They will also be able to work in a professional art therapy office located in the Houston/Bellaire area. Angelina Rodriguez, owner of Psychotherapy by Angelina, is a board certified LPC and Art Therapist supervisor. § Must have a Masters in Counseling, Social Work, or Art Therapy. § Status as an LPC-Intern is preferred. § Looking for a strong background in the arts. § Must have reliable transportation. § Job requires approximately 10-15 hours a week, with flexible scheduling. Anyone interested in applying may forward their resumes to assistant.therapybyangelina@gmail.com or call the office at 832-930-6982. Roosevelt High School will be hosting the TR Community Garden Ribbon Cutting Health & Wellness Fair on May 18 from 6-8 pm. We will have 3 tables at this event. Two will offer art interventions: breathing branches (yarn wrapped branches) and nature rubbings. A third table will offer literature, cards, and info about art therapy. We have the opportunity to fundraise at this event. We will be selling painted/non painted sugar skulls and painted rocks with a quote on them. We need volunteers and supplies for this event. We are coordinating on a list for supplies at this time. More info to come later today. The STATA Austin Den will be hosting a booth at the Violet Crown Festival on Saturday, May 6, 2017. At the booth we will be facilitating a free children's art activity and sharing information about art therapy. All volunteers are also welcome to bring business cards or other marketing materials. The Violet Crown Festival is a community festival in the Brentwood/Crestview neighborhood of Austin. In addition to the free children's activity booths, there is live music, food trucks, and arts/crafts vendors. The Violet Crown Festival will be held at Brentwood Park - 6710 Arroyo Seco, Austin, TX 78757 from 10:00am-6:00pm. We are looking for STATA members to volunteer throughout the day. Although the sign-up schedule is broken up by hour, we hope that you will sign up for multiple slots and stay for a few hours. In addition to booth volunteers, we need setup help in the morning. Join the San Antonio Den for the next meeting on Sunday, April 30th, 1:00-4:00pm at Salina Shelton's home. $100 den funds, how would we like to use these funds (and future funds)? Martha Nieto Friend will share her experience using the "Ojo de Dios" in therapy with clients. Participants will learn about the cultural history behind the mandala like creations and engage in creating their own. This event does not offer CEUs. Contact Dr. Peck to register or for more info. Mark your calendar for the upcoming den meetings in San Antonio for 2017. Update 4/23/17 - Thank you to everyone who joined us in making art at the "Painting Hope" workshop today. We were touched by your caring spirits, generosity, and amazing hope-filled artwork. Join us in creating paintings to be donated for display at Refugee Services of Texas in Austin. All artwork will be based on the theme "hope." Canvases and art supplies will be provided. All participants (including STATA members) are asked to pay a $5 supply fee. Enter from Congress Ave and proceed onto campus from the main entrance. Turn left at first stop sign. You will pass a large parking lot on the left and then the Arts building will be on the right. Park in the lot on the left, across from Doyle Hall, or park in the lot across from the Fine Arts building and library. Please RSVP via email to salina@trueyouarttherapy.com or text: (210) 274-6863 and she will give you directions. 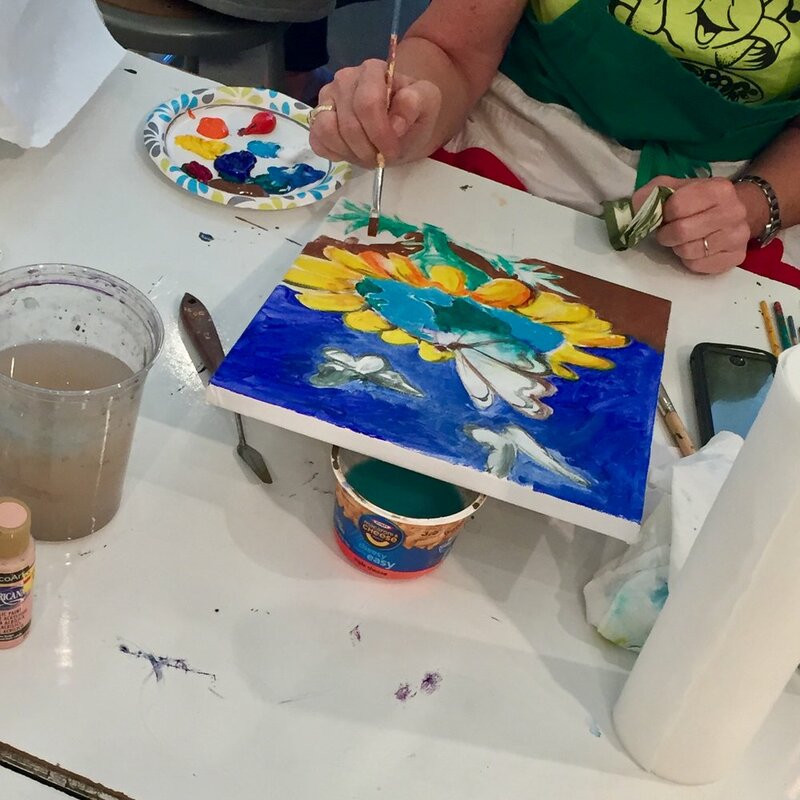 Join Art Therapists Laura Lynn Johnson, ATR-BC, LPC & Wanda Montemayor, ATR-BC, LPC-S/AT for an afternoon of art making and CEU's in the gallery at Cloud Tree Studios . We will learn, explore and understand the history and symbols of protection, learn specific interventions related to mindfulness and creativity and earn ethic CEU's. We will explore the current safety pin movement and how it relates to our practices and community. Healing takes place best in the context of a relationship. Whether it's within one's self, one on one, a small group, a neighborhood, a nation, or the world; when people have a sense of connection with others, they are empower to work together for positive change. Art-making can be a powerful process for facilitating connections in both small & very large communities. 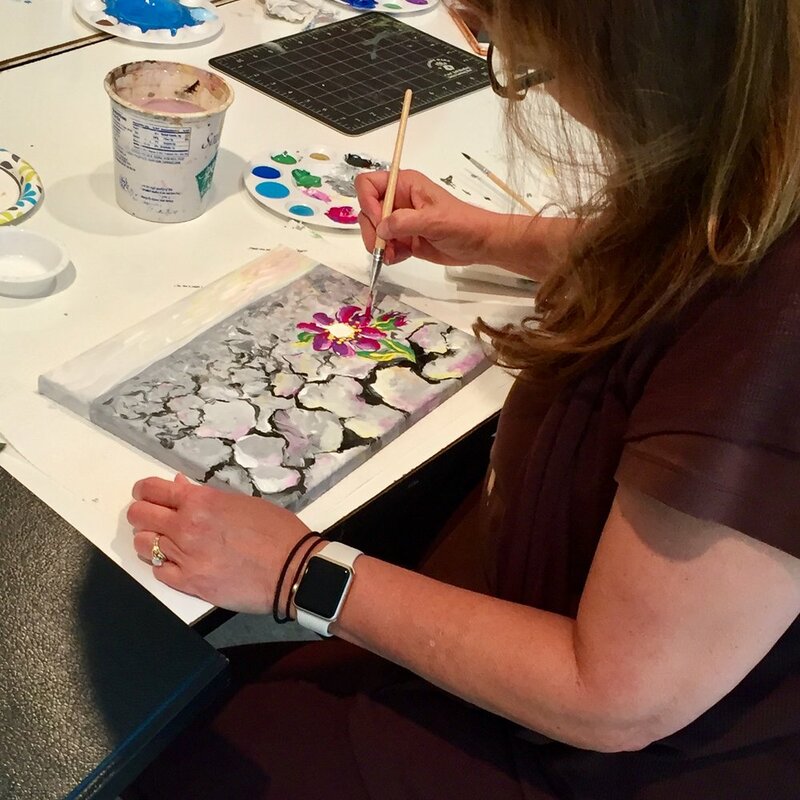 In this workshop, you will learn several art techniques that will enrich relationships through a stronger sense of connection & set the stage for energetic healthy change! Life moves us through many cycles, transitioning from one stage of growth to another. This experiential workshop will explore psychological growth as a cycle. Different challenges at various stages and questions encountered at each stage will also be explored. Aggressive lashing out, whether it's in cyber space or in the school hallways, is a destructive force that can destroy the learning environment. Art-making can provide a means for anger & violence to be expressed, shared, and transformed into positive energy for change. In this extended workshop, we will explore art-making experiences that can help transform a hostile environment into an energetic atmosphere for creative change. This experiential workshop will introduce participants to the research-supported orientation of Acceptance and Commitment Therapy (ACT), including the 6 core processes of ACT. Participants will explore assessments and applications including anxiety, depression, chronic pain, and OCD. Zombie Apocalypse - Understanding the "UnDead" Archetype and Its Importance to Our CultureWhat is it with all these Zombies? It's not just Hollywood movies - they have their own TV shows, local parades, and handbooks! Every Halloween, at least a few kids put on green make-up, fit a plastic cleaver into their heads, and stumble out their doors to collect candy. What's going on? In this workshop, we will delve into this persistent and somewhat bizarre message from the collective unconscious. We might as well try to understand them, because they aren't going away! Our clients come to us with many questions. Sometimes the struggles they face may lead them to question their faith, or the safe and supportive environment you create may embolden your clients to explore their own spiritual journey. This workshop will explore the spiritual competencies endorsed by the American Counseling Association (ACA) and their real-world application. SUNDAY, DECEMBER 11TH, 3:00 TO 6:00 PM. HOLIDAYS AS A TIME FOR HEALING: THE GIFTS OF THE MAGI AS A MODEL FOR HEALING THROUGH CONNECTION. Attendees will be introduced to the concept that the ability to connect in a relational context is vital to mental health. Become acquainted with the story of the Three Magi and how it can be used as a therapeutic metaphor. Understand the archetypal elements and their symbolic meaning. An expressive art task will put our knowledge to a painted image to swap with one another. Bring acrylic paints and brushes if you have them. Small canvases provided. This last San Antonio Den event of the year will be presented by Vicki Williams-Patterson, MCAT, LPC, ATR-BC and hosted by incoming Den Chair, Salina Shelton. Refreshments provided by outgoing Den Chair, Deb Murphy. Free 1.5 CEU's as our gift to you. Be prepared to learn, socialize with colleagues and reflect on our amazing year of professional development and connections. Be sure to see all the awesome art that is part of the 2016 East Austin Studio Tour. Art Therapist and STATA member, Dr. Moe Peck offers regular CEU trainings on stress reduction and ethics. There are still two dates for this year and 2017 dates have been scheduled. Our latest newsletter is out. 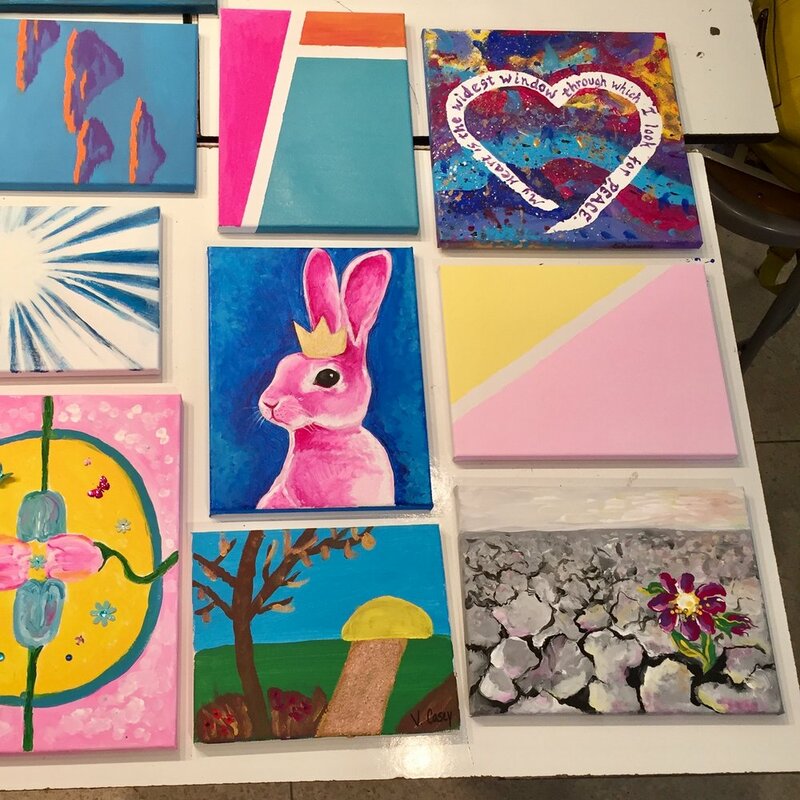 Be sure to read about all the awesome art therapy events that have been happening this year! And a big thanks to our Newsletter Chair, Deborah Lindeen, LPC-S, ATR-BC for putting it together. 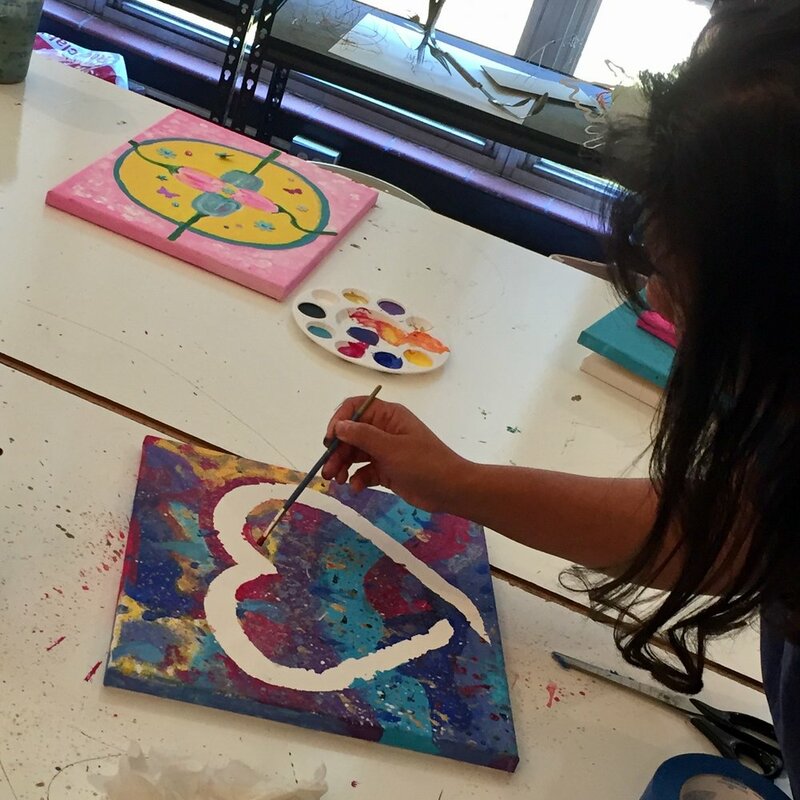 Bluebonnet Trails is looking for Art Therapists to contract with them for the YES! Waiver program. Services may be provided in-home, in the community, or at your office. The YES! Waiver services assist children and teens with serious mental illness. Annual STATA Art Show - Sign up by Sept. 18th! All STATA members are invited to submit art for our annual art show. This year's theme is the Pablo Picasso quote: "Art washes away from the soul the dust of everyday life." Artwork can any size or medium (but must be 2D and hangable) and should respond to the quote in some way. You can submit up to 3 pieces to hang and may use new or previously completed art. Please consider writing a brief artist's statement about your piece. You may include a price to sell your piece or mark it as not for sale. Art hanging will be Oct 1st at 10PM. All help is appreciated! If you cannot drop off your art that night, please contact Karen at kmgarity12@gmail.com (North Austin) or Wanda at wanda.montemayor@austinisd.org (South Austin) to arrange drop off in advance. Pick up artwork from StrangeBrew at your convenience Nov 27-30th. A panel of three art therapists will discuss their careers, populations they support, and creative approaches to their practice. Participants will have the opportunity for Q&A with the panel. 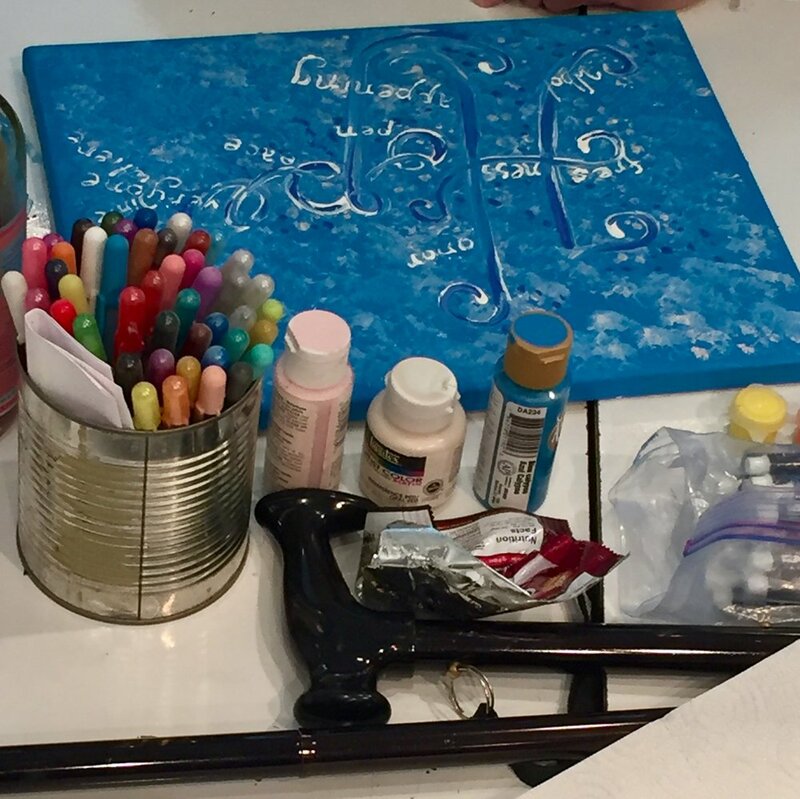 Participants will make art to reflect on "My Journey as an Art Therapist." All materials provided. 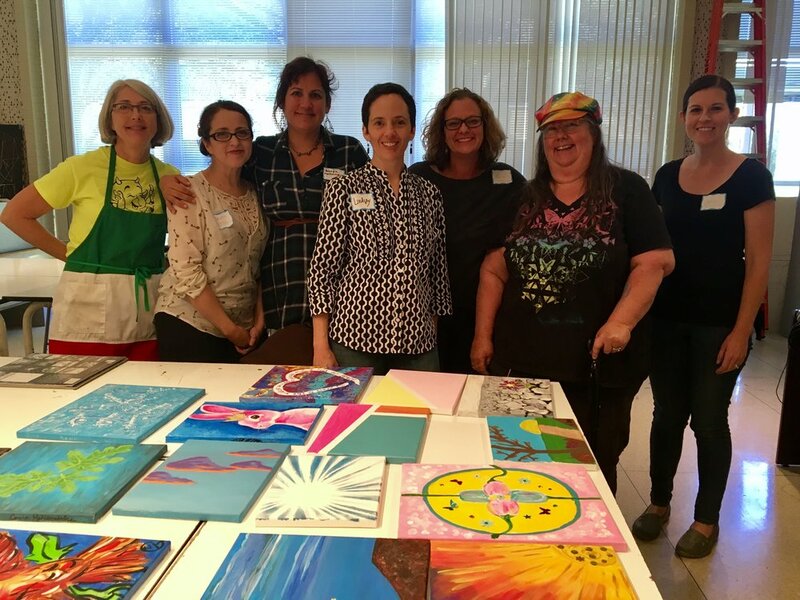 Becky works as a community-based art therapist for Blue Sky Abilities through Austin Travis County Integral Care. She earned her Master’s Degree in Counseling and Art Therapy from the University of Louisville in 2013. After working in Kentucky for a year, she moved back to Austin where she primarily works with adolescents and children to overcome trauma, depression, anxiety, and grief. In her free time, Becky enjoys illustrating, reading, and playing roller derby. Elizabeth earned her undergraduate degree in Studio Art at UT Austin, and received her Master’s in Creative Arts Therapy from Hofstra University in NY. She has worked in a variety of settings—schools, a hospital psychiatric unit and prison ward, and a continuing day treatment center for chronically mentally ill adults. After returning to Austin in 2006, Elizabeth spearheaded the Expressive Arts Therapy program at Dell Children’s Medical Center, working there as a part-time art therapist since 2008. She also teaches Kindergarten Art at Sterling Classical School, decorates cakes, makes jewelry, and offers art lessons and workshops. Salina is a graduate of Pratt’s Art Therapy program. She works at San Antonio Behavioral Healthcare Hospital in San Antonio working with Military PTSD, Chemical Dependency, adult and adolescent populations. Salina is an Army Veteran and military spouse giving back to those who have served working with local and national military/veteran agencies in the arts. She enjoys painting, gardening, running and the performance theater.